Our son beamed as he pointed to the broken drum head hanging on his wall. “Not everyone can drum so hard they damage a Kevlar drum head!” he boasted, still beaming. Apparently, the destroyed drum head symbolized superior drumming abilities. Rob obviously had enough strength to pierce the bullet-proof material of his drum head, while beating his sticks to the rhythm. Our sons have been in top physical shape for decades. When Rob and Chris were in fifth and seventh grades (respectively), they earned their black belts in Tae Kwon Do. Both of them continued to work out regularly. Rob went on to earn a black belt in Aikido. Currently he does CrossFit workouts (a grueling fitness regimen of high-intensity movements). Chris works out daily, lifting weights and pushing himself to his limit when running. Wouldn’t it be nice to have such strength? I’d settle for just a drop of their energy! It’s inner strength I need most. Join me for a moment as I step into my fantasy world. I’m imagining that I could touch Chris’s muscles and instantly my heart would be incased in steel protection. It could no longer be shattered by sorrow, worry, grief, or torment. Chris’s muscular power would be translated into emotional stamina in my body. Raising a child with mental illness (MI) requires unbreakable feelings, emotions that can withstand a tornado of trials. No, we can’t tap into someone else’s physical strength or even borrow their emotional fortitude. Happily, we’ve got a better Source of strength. Think for a moment about what this verse says: “If the Spirit of him who raised Jesus from the dead is living in you, he who raised Christ from the dead will also give life to your mortal bodies because of his Spirit who lives in you” (Romans 8:11). His Spirit lives in us. Our all-consuming struggles tend to make us feel as if God’s abandoned us. We feel so distant from Him. But, if we truly believe Romans 8:11, then we couldn’t get any closer to our Father. He abides in us. How do we benefit from His power? Here are just some ways. Those of us who have received Christ as our Savior have God’s power in us. The Holy Spirit, dwelling in us, will comfort our hearts. The power that created all things and conquered death can surely calm a mom’s aching heart. “Be of good courage, and He shall strengthen your heart, all you who hope in the Lord” (Psalm 31:24). Our problems seem so complex. At times, we don’t even know how to pray. We’re not alone. Paul also tended to be prayerfully speechless. He offers us the solution in Romans 8:26 when he points out that, “The Spirit helps us in our weakness. We do not know what we ought to pray for, but the Spirit himself intercedes for us through wordless groans.” Paul’s recommendation: Turn it over to the Holy Spirit. Life that includes MI is so … constant. So daily. We can face another day because we believe that, “In him we live and move and have our being” (Acts 17:28a). I don’t know about you, but sometimes I get so tired of trying to figure out how to deal with MI (how to minister to my son, how to solve the problems, how to get other family members to understand…). Galatians 2:20 gives me hope that I can switch from mental fatigue to faithful living. A Whole Pack of Power! “O Lord, my strength and my fortress, my refuge in the day of affliction…” (Jeremiah 16:19). “O God, You are more awesome than Your holy places. The God of Israel is He who gives strength and power to His people” (Psalm 68:35). “Blessed is the man whose strength is in You, whose heart is set on pilgrimage” (Psalm 84:5). “Finally, my brethren, be strong in the Lord and in the power of His might” (Ephesians6:10). 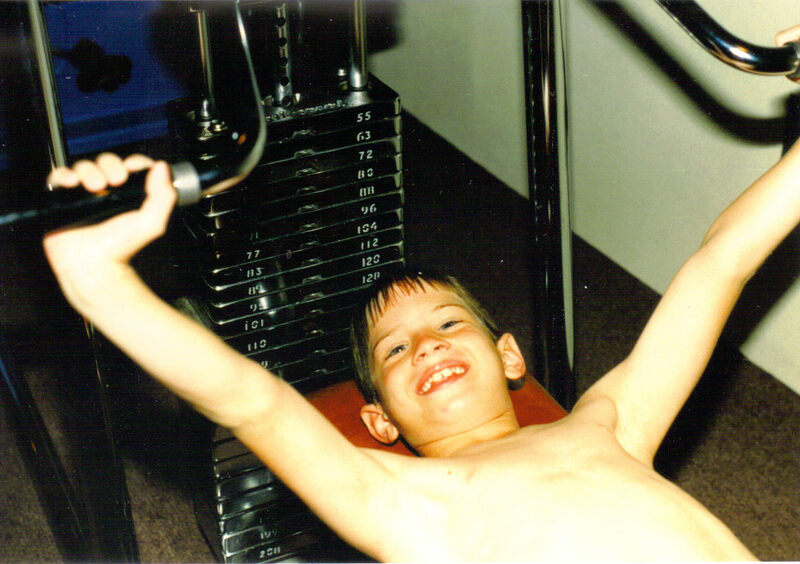 Our son, Rob, has tremendous strength because of CrossFit. Jesus’ cross makes us fit. We are divinely Cross Fit. We’re emotionally equipped to deal with whatever MI will do to our kids. Because we face our trials in His power. Long before Twitter, teenagers spoke their own language. Adults didn’t adopt their expressions. But, parents clearly understood their child’s messages. Especially when they were conveyed in grunts or in split syllables (for emphasis). I confess that secretly I’ve groaned, “Whatever!” to God at times. A publisher’s rejection zapped my contentment before I had a chance seek His peace. A new illness flooded me with fear before I remembered His promises. My Father waited patiently while I wallowed in frustration. On each occasion, I eventually tired of my disgruntled attitude and turned to Him. Sometimes I’d groan, “Whatever!” when a new round of symptoms would emerge in Chris. They’d warn of more stress, another disruption in life, sleepless nights, and endless tears. Are you good at sensing more fragile emotions in your child who has mental illness (MI)? Does your motherly intuition serve you well? Can you discern something is wrong even by hearing a subtle change in your child’s voice? It helps me to know that Paul, the champion of contentment, didn’t discover God’s peace in one day (as if some apostolic genius). It was a process. Thankfully, he revealed, “I have learned to be content whatever the circumstances” (Philippians 4:11). Paul learned to be content no matter what. The unspoken message is that he didn’t get it right the first time, or the second time, or even the third time. Arriving at contentment was a process. The encouraging news is that we too can gain greater and greater contentment. How can we become more contented in our situations? Here’s the hard news to swallow: through our trials. Paul lets us in on his secret. Imagine him holding his pointer finger to his lips and whispering, “S-h-h. Listen up. I know life stinks at times. I know what it is to be in need, and I know what it is to have plenty. I have learned the secret of being content in any and every situation, whether well fed or hungry, whether living in plenty or in want. I can do all this through him who gives me strength” (Philippians 4:12-13). His secret: He learned to trust in God, rather than himself, others, or things. I find that easier said, than done. My first reaction isn’t worry or fear so much anymore, but it’s often to rely on my own wisdom to figure out a solution. God has proven time and time again to be faithful to His Word. Why is it so hard for me to trust Him sooner, rather than as a last resort? Thankfully, Paul didn’t stop there in his pep talk to his brothers. He included a word of encouragement saying, “My God will meet all your needs according to the riches of his glory in Christ Jesus” (Philippians 4:19). He knew we’d need a reminder that God will meet all our needs. And that He will supply according to the riches of His glory in Christ Jesus. How do you cast your care on Him? Worship songs sometimes help. Use Matt Redman’s song as your prayer to God. It was my first year teaching and already I felt like a failure. Every time I asked my supervisor for something, she denied my request. Each time I suggested an activity for my multi-handicapped students, she shot it down. “No,” was all I heard from her. Never any positive feedback. Only negative remarks. I’m a rotten teacher. I thought I was well-trained. Obviously not. When am I going to figure this out? After two years I got reassigned to a different unit. My new supervisor praised me often and supported all my ideas. Fellow teachers elected me to be their faculty representative. That’s when I realized I wasn’t a failure as a teacher. For two years I had accepted the lie my former boss had inflicted on me. Some of us do the same to ourselves. Mental illness (MI) masks our efforts. Our child’s illness demands more from us than other children. Mothers of healthy kids enjoy seeing the fruit of their labors. Not us. So we assume we’re doing something wrong. Guilt contaminates our self-evaluation as a parent. My child’s not getting better. I must be missing something. There must be more I should be doing. Sometimes the smoldering guilt leads to searing shame of imagined past infractions. Why didn’t I see this coming? I should have recognized the warning signs and gotten him help sooner. What did I do wrong? Have you beat yourself up lately? Are you carrying around bags full of shame, as if on an endless guilt trip? Don’t get discouraged if you’re trying as hard as you can, but don’t yet see results. The outcome doesn’t necessarily correlate to effort. If our efforts can’t always improve our child’s state of mind or emotions, they do they matter? To God they absolutely matter! He alone sees all we do. He alone knows how long we’ve endured in the midst of our own sorrow. Many moms raising a child with MI don’t get encouragement, acknowledgement, or praise. In the absence of positive feedback, feelings of inadequacy and guilt can creep in. What can eradicate needless guilt? Seeing ourselves as God sees us. I think it helps to focus on what pleases God. To reflect on things that delight Him. The next time you’re tempted to feel lousy as a parent, study this list. Consider how much God is pleased with you. You being His child: “For the Lord takes delight in his people; he crowns the humble with victory” (Psalm 149:4). Your well-being: “May all who gloat over my distress be put to shame and confusion; may all who exalt themselves over me be clothed with shame and disgrace. May those who delight in my vindication shout for joy and gladness; may they always say, ‘The Lord be exalted, who delights in the well-being of his servant’” (Psalm 35:26-27). God desired that David’s troubles would cease, and that he would enjoy a time of rest and tranquility. Our unchanging Father desires the same for you and your child. Your hope in His unfailing love: “The Lord delights in those who fear him, who put their hope in his unfailing love” (Psalm 147:11). Your prayers: “The Lord detests the sacrifice of the wicked, but the prayer of the upright pleases him” (Proverbs 15:8). A gentile and quiet spirit: “Let it be the hidden person of the heart, with the incorruptible beauty of a gentle and quiet spirit, which is very precious in the sight of God” [1 Peter 3:4 (NKJV]). The righteous that walk faithfully with God: “But Noah found favor in the eyes of the Lord. Noah was a righteous man, blameless among the people of his time, and he walked faithfully with God” (Genesis 6:8-9). Showing His kindness, justice, and righteousness: “‘Let the one who boasts boast about this: that they have the understanding to know me, that I am the Lord, who exercises kindness, justice and righteousness on earth, for in these I ‘delight,’ declares the Lord” (Jeremiah 9:24). MI can be fertile ground for seeds of needless shame. Left unchecked, weeds of guilt can stifle healthy spiritual growth. The next time your mind is infested with thoughts of parental inferiority, focus on God. Psalm 37:4 tells us that God wants us to delight in Him. The Destroyer of sin and death can eliminate your feelings of guilt. And replace them with an assurance of His unconditional love for you. “Cherish the moment,” said our seven-year-old son. Chris stared across the water gazing at Tom Sawyer Island. His first visit to Disney World captivated him. Even a child could appreciate the serene paradise. Have you experienced moments like that? Times that you wanted to freeze time? Those of us raising children with mental illness (MI) have an additional category of special memories. We relish ordinary activities more than most moms. Like going on a family outing that’s stress-free. Or watching our child interact happily with a friend. Recently I added one of those moments to my collection. Chris participated in a 5K run. He asked me to take pictures of the event. Howie joined me as we stood in the rain watching the participants. Joy flooded my heart as I watched Chris run along the route. He looked so focused and fit. After the race ended, the three of us enjoyed a celebratory meal at Red Lobster. All throughout dinner, Chris chatted happily about the event. I imagined God running alongside me, guiding me, protecting me, and cheering me on. Can you envision that same scene? THAT’S a memory we can all share! Our Companion has promised that, “When you walk, your steps will not be hampered; when you run, you will not stumble” (Proverbs 4:12). Our other son, Rob once ran a twenty-six mile marathon. He told me that most marathon runners “hit the wall.” It’s a sudden wave of fatigue that sets in at about 20 miles into a marathon. God has entered us in the MI marathon. Sooner or later we all have moments of fatigue. When we feel as if our mental, emotional, physical, and spiritual resources have been depleted. At those moments, how do we go on? By focusing on the end of our race. “Do you not know that in a race all the runners run, but only one gets the prize? Run in such a way as to get the prize. Everyone who competes in the games goes into strict training. They do it to get a crown that will not last, but we do it to get a crown that will last forever” (1 Corinthians 9:24-25). When we’re worn out and weary, God encourages us by promising that, “Those who hope in the Lord will renew their strength. They will soar on wings like eagles; they will run and not grow weary, they will walk and not be faint” (Isaiah 40:31). Man’s GPS (Global Positioning System) will only help us navigate as we travel roads. We have access to a far better system: GPS, God’s Positioning System that helps us navigate through life. 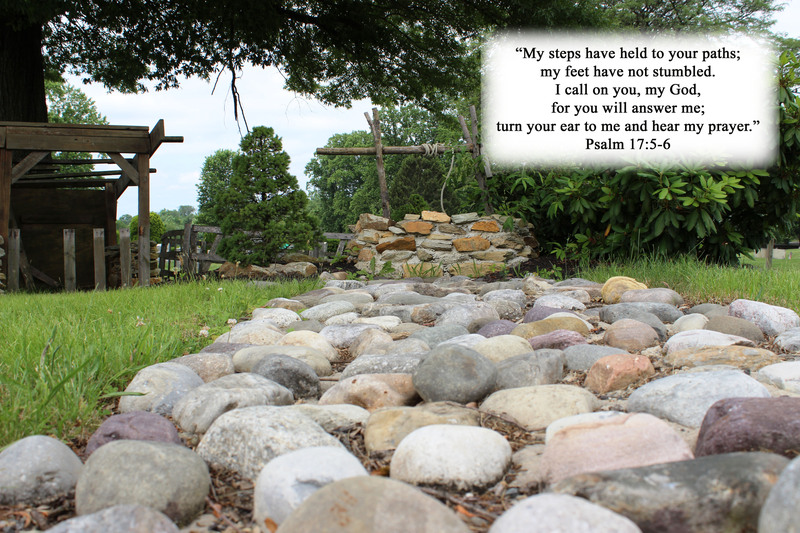 When we’re unsure where to turn, Scripture provides guidance. We can say with assurance, “Your word is a lamp for my feet, a light on my path” (Psalm 119:105). Marshals guided runners along the course. “In all your ways submit to him, and he will make your paths straight” (Proverbs 3:6). Our race in life will also be followed by a wonderful meal. I look forward to the feast that will be in heaven. An angel foretold of it saying, “Blessed are those who are invited to the wedding supper of the Lamb!” (Revelation 19:9). What’s the trick of keeping track of twenty-five eight year olds? Constantly count to make sure no one has wandered away. And appoint a chaperone to walk at the end of the line. As long as my students followed me, they were safe. We’re like those young children. It’s necessary for us to follow the One who can keep us safe. Many of us raising a child with mental illness (MI) can’t see where life’s headed. Sometimes it’s like driving in a blizzard. The white-out conditions make it difficult to find the road. And blind our eyes to the curves ahead. We peer into the distance, trying to find safe patches of road. Holding our breath as we maneuver through unknown territory. Bracing for slick spots—icy patches in the road that would send us spinning out of control. Suddenly we spot two faint dots straight ahead. Could it be another car? As we inch our way closer it becomes easier to identify the lights. We breathe a sigh of relief. Another car IS driving ahead. Casting light onto the road. Thank You, God. I’ll just follow those tail lights. There’s relief in following a leader. Especially when God is the One pointing the way. But in the midst of our trials, it’s sometimes hard to find God. Job described his search. “Oh, that I knew where I might find Him. Look, I go forward, but He is not there, And backward, but I cannot perceive Him; When He works on the left hand, I cannot behold Him; When He turns to the right hand, I cannot see Him” [Job 23:3a, 8-9 (NKJV)]. Can you relate? Do you look into the past to see if God left any hints that your child would become depressed, suicidal, psychotic, enraged, or tormented? Do you try to track God in your current circumstances, wondering if He’s working at all? Do you look into the future and try to figure out how God could help your child? Job was able to endure great losses because he followed God. In the midst of his suffering he stated with assurance that God “knows the way that I take; when he has tested me, I will come forth as gold. 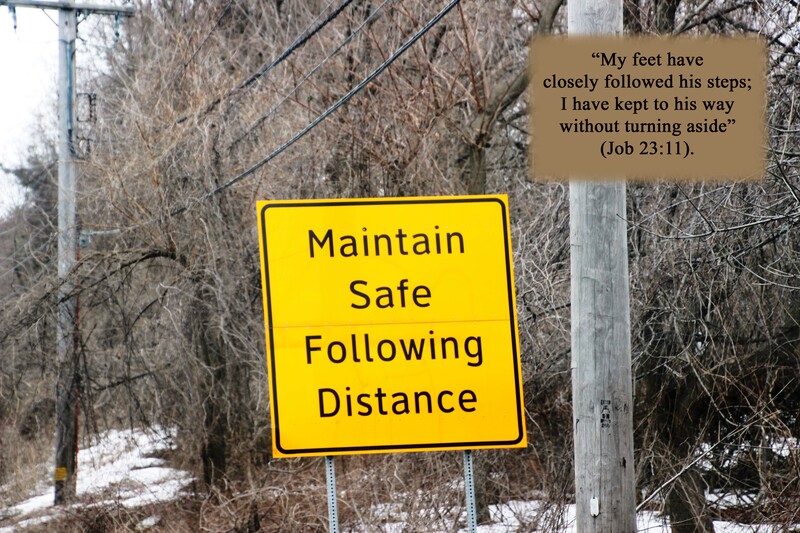 My feet have closely followed his steps; I have kept to his way without turning aside. I have not departed from the commands of his lips; I have treasured the words of his mouth more than my daily bread” (Job 23:10-12). We, too, can follow God’s steps by treasuring His Word. God goes before us as our guide. He speaks to us through scriptures. In the Bible we all find comfort for our broken heart. The mother of a child who displays unprovoked anger and rage finds the Source of unconditional love and long-suffering. As she trusts in His powers to help her endure, she looks to the One who can restore perfect peace in her child. The mother of a psychotic child finds godly wisdom to know where to turn for help. The mother of an emotionally fragile child finds examples of Bible characters who found inner strength from the Holy Spirit. The mother of a troubled child without a clear diagnosis reads about a Creator who knows all. He knows thoughts before they are spoken and numbers every hair on heads. She can rest in the knowledge that He will guide experts to finding a diagnosis. The mother of a suicidal child finds promises of our Protector who can prevent harm. The mother of a MI prodigal can sleep a bit easier when she reads about our omnipresent and omnipotent Father (who is everywhere and all-powerful). In the New Testament we find Christ’s desire for us to follow Him. Jesus invited many to follow Him saying, “‘I am the light of the world. Whoever follows me will never walk in darkness, but will have the light of life.’” (John 8:12). Sound familiar? Has your child “suffered a great deal under the care of many doctors” and gotten worse instead of better? Have you spent all you have on therapists? No wonder the woman knew she’d get relief from her suffering if she could only touch Christ’s clothes (Mark 5:27-28). Not only did Jesus heal her, but he sent her away with these words, “Go in peace and be freed from your suffering” (Mark 5:34). So ‘maintain a safe distance’ when traveling through life. Stay close to Jesus. He still frees people from suffering and helps them go in peace.